Guest Blogging: A Waste of Time, or a Worthy Investment? Running a business is an all-consuming challenge, and it always has been. Once the Internet came of age, however, running a business usually meant that one had to become a tech-savvy content master as well, creating a web presence for your brick-and-mortar operation. Suddenly, you were in charge of what felt like two businesses, and you questioned whether you had enough to give your all to both. Keeping a website full of fresh, relevant content takes a great deal of effort. You must constantly tweak and adjust your approach to ensure that you are generating traffic and appealing to your perfect client, and you must constantly produce new material to stay at the top of searches. When a different company asks you to write a guest article on its website, you probably feel as if it’s a no-brainer to say no…but you may want to reconsider. Not long ago, many prominent web marketing gurus were convinced that guest blogging had gone the way of the Yellow Pages, a once-leading source of traffic generation that was no longer considered worth the effort. With Google’s relentless updates and innovations, it seemed as though SEO rankings would only be hurt by guest blogging. As a web marketing firm ourselves, we had to ponder—what made guest blogging go from helpful to harmful? From our perspective, it still seemed like a relevant way to drive traffic and improve SEO (we were right, but keep reading anyway). What happened, however, was Google wizened up and started “penalizing” sites that used spammy links and repetitive or unrelated content, an all-too-common mistake that overeager guest bloggers made. Guest blogging can be an extraordinarily powerful tool in the right hands, however—you just need to know how to put it to good use. When you lend your voice to a reputable site that aligns with your own company’s values and goals, you establish yourself as a subject matter expert to an audience outside your own, adding value to your reputation and potentially driving new traffic to your sites. 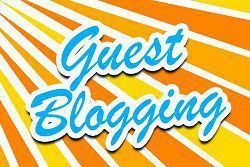 What’s the Trick to Guest Blogging Successfully? Keep it reputable. Aligning yourself with any and every website won’t get you the high-quality leads you’re looking for, and it will ultimately hurt your rankings. Find well-respected, relevant sites that align closely with your brand in order to attract the best traffic that is relevant to your business. Keep it high quality. Writing content of poor quality will hinder your efforts to be seen as an expert in your field. Write excellent content about the topics your target audience wants to know. Need help? Check out this list of 1,500+ quality blogs that accept guest posts. Keep it unique. Spamming numerous websites with the same article people have seen several times over—either from you or from your competitors—will hardly set you apart in the eyes of your target audience or Google. Find a new angle or spin, and you’ll catch the eye of everyone on the other end of the screen. Guest blogging was never a thing of the past, but it has certainly been a misunderstood and abused method of getting content on the web. In the right hands, guest blogging can reach a wider audience than many other methods, and form important connections with industry allies. Want to learn more about making your site content (and guest site content) work for you? Contact our team today at 888-886-0939, or fill out our online contact form on this page!